Every action online leaves an audit trail. Scrutiny of online activity is enabling the public relations profession to bring rigour to planning and evaluation. It is enabling the industry to shift from a craft to a science but in its enthusiasm to modernise our profession may be measuring the wrong things. The AMEC meeting in Barcelona in June 2010 drew up valid metrics guidelines for measurement. AMEC’s vision is to shift the industry away from proxies as a metric for success to business outcomes. Its adoption by the industry is a work in progress. Change is coming but it is slow. The objectives of a public relations campaign should be aligned as closely as possible to the objectives of an organisation. 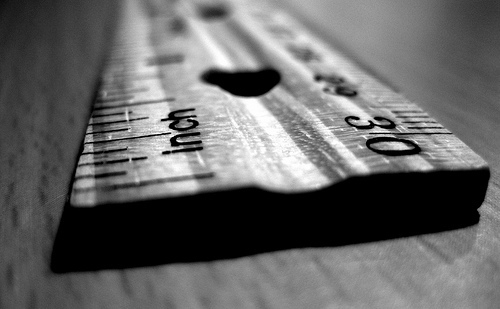 Measurement should be tied to evaluating outcomes wherever possible. The challenge with digital is that it’s possible to count so many things and present rising numbers as a success. Followers, likes, re-tweets, re-pins and web traffic are the new Opportunity To See (OTS). It's a short step from Advertising Value Equivalent (AVE). The challenge with counting social media indicators and even web traffic as a measure of a campaign’s success is that they are only ever potential indicators of engagement with an audience and are easily manipulated or even worse faked. Speaking at the PR Moment Analytics conference last month Spectrum Insight's Mark Westaby said that fake traffic was an issue that the public relations industry hadn’t tackled. After Westaby’s speech I dug around the web to find out how easily and cheaply it is possible to buy followers or traffic. $500 goes a long way. I’ve cited examples below that I turned up via Google. These are generated using a variety of means ranging from automated software to low-cost labour. The result is always bogus. When it comes to measuring the results of public relations campaigns make sure you know what you’re counting. Build your measurement around business outcomes and not metrics that may literally be meaningless or fake. Photo by Sterlic via Flickr reused with thanks. Mar 8 Guest post: Brand Anarchy "a book by old people, for old people"